Later today, Space Shuttle Atlantis will be lifting off from Florida for the last ever servicing mission to the Hubble Space Telescope. Today's mission also marks the 30th mission for the Orbiter, which first launched in October of 1985 with STS-51-J. The primary mission will be to install new equipment and upgrades for Hubble, which was last serviced in 2002 by Space Shuttle Columbia. The crew will install the Cosmic Origins Spectrograph, a sensitive ultraviolet spectrograph and the Wide Field Camera 3, a camera that can record a large range of spectrums. Six of the gyroscopes and batteries for the satellie will also be replaced. This mission is long overdue, having originally been scheduled for May 2008, and there were further delays last fall when problems with the production of the external fuel tanks occured. In addition, an IMAX camera will be brought up, footage from which will be used for a new film about Hubble. What makes this mission interesting is the presence of not only Atlantis, but Endeavour as well, on the launch pad. Because of Hubble's postition in orbit, the Space Shuttle will be out of range of the International Space Station, the usual standby in case of an emergency. In the instance that there is a problem this time around, Space Shuttle Endeavour can be launched to rescue the crew of the Atlantis. This mission is designated STS-400, and will carry a crew of four. The current mission is one of the few remaining shuttle missions before the orbiter fleet is retired in 2010. 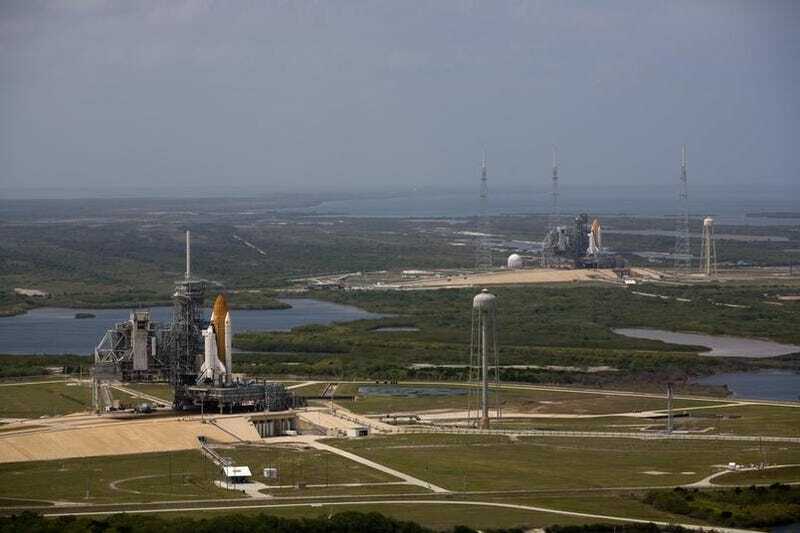 Remaining missions include deliveries to the International Space Station, and will allow Atlantis to fly one final time, with Endeavour flying two more flights, with Discovery slated to fly the last mission, STS-134. Best of luck to the crew of STS-125!